After a decade of freelance feature writing, you think you've seen it all: pitches ignored or rudely rebuffed; work spiked for no good reason or going unpaid; lovingly crafted pieces hacked to bits on an editor's whim. But last month I had a new and not-so-pleasant experience – someone stole my idea. The whole thing started innocently enough when I pitched a decent feature idea to a women's mag, which shall remain nameless. The features editor responded, saying she liked the idea and would put it forward at the next features meeting. Expecting a commission, I waited to hear back, but didn't. I sent an email chasing it up, but no reply. Breaking one of my golden rules, I sent another, only to pick up the mag in question and see my feature in all its glory crowned with someone else's byline. It annoyed me so much that I sent a withering email to the features ed, which made me feel better, but probably ensured I would never write for them again. Still smarting, I talked to the National Union of Journalists (NUJ) and other intellectual property experts to see what rights I had, if any, to find out how common idea-stealing was and what freelancers could do to avoid it. John Toner, the union's freelance organiser, reports that it happens with annoying regularity: "My sympathies are with freelancers who are ripped off and get nothing for it. Some writers get understandably angry about having their ideas pinched. Others just acknowledge it's part of freelance life, put it behind them and move on to the next pitch." So is there anything we can do to keep those precious ideas from being taken and given to another writer? "You could pitch the idea without giving away specifics," says Toner. "If you can keep back details like who you would interview until they've agreed to commission you, then you've improved your chances of not having the idea stolen. "Some freelances will only pitch if the other party agrees to commission under strict commercial confidence. But that's usually only writers with a track record of coming up with exclusives – the kind of stories commissioning editors would do anything to get." Given that most freelancers aren't pitching bite-your-hand-off exclusives, what legal protection do more mainstream ideas have? In order to understand that, you have to know a little about intellectual property. This is broken down into separate categories: patents apply to the scientific or mechanical workings of an invention; while trademarks apply to logos and brands, like the Coca Cola or McDonald's logo. As creatives, what we're interested in is copyright, which applies to any written medium, including dramatic works, broadcasts or musical recordings and literary works, like novels, newspaper articles, song lyrics – even computer programs and instruction manuals. "Unfortunately, copyright doesn't protect ideas for a piece of work," explains James Thomson from the Intellectual Property Office (IPO) – the UK government body responsible for granting intellectual property rights. "It's only when the work is in writing that copyright automatically protects it." Thomson echoes Toner's suggestion about requesting a confidentiality agreement: "If you pitch an idea to a paper, it might be worth protecting your intellectual property with a confidential disclosure agreement, which you can download from our site." If you do think your copyright has been infringed, the IPO is a good place to start, as it offers a mediation service between you and the publisher and can direct you to the appropriate body if you need to take further action. This may be a legal advisor or specific organisations representing different types of artist, like the Writers' Guild, which looks after writers in TV, radio, theatre, books, poetry, film and video games; or the Authors' Licensing and Collecting Society, which ensures that authors are compensated for works that are copied, broadcast or recorded. Another such organisation, Own-it, provides intellectual property advice for creative businesses. Its project director, Marice Cumber, is a passionate advocate for us creative types. Although she believes we should protect our copyright by whatever means necessary, she also advises caution. "With creative people, because their ideas represent that creativity, they can get very emotional if they feel those ideas are taken away. But it's good to get someone independent to say whether anything awry has occurred or you may lose potential clients," she says. "You need to make an astute business decision about the value of pursuing something and what you’ll get in return." Cumber points out that, in addition to the risk of biting the hand that feeds us, just two lawyers' letters can cost more than the fee we'd get for the piece. Before you go charging off to a legal firm, talk to Own-it, which offers a free legal advice service. 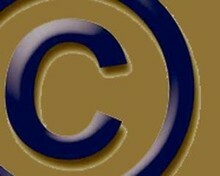 Its website also hosts an excellent series of free-to-download podcasts on all aspects of copyright. One final – and somewhat surprising – comment from Toner: though he is a staunch defender of freelance rights, he thinks it crucial that finished work should be copyrighted, but ideas not. "There is actually a very good reason for ideas not being protected by copyright: if they could be copyrighted, it would prevent two people writing or broadcasting about the same subject. For example, if you wanted to write about Paul Gascoigne's [former England footballer] alcohol problems, you could write a piece with a totally different focus than the recent Channel 4 documentary. "It's essential for journalism that ideas cannot be protected, but equally essential that the finished piece can." Somewhat grudgingly, I have to agree, though I'm still fuming about my idea being 'borrowed'. Never fear – next time I pitch something juicy there will be a confidentiality agreement attached. For more on copyright protection for journalists and publishers, read Journalism.co.uk's copyright series at this link. To find out more about the author, Dan Roberts, visit his website.